Former Senate President and presidential aspirant on the platform of the Peoples Democratic Party (PDP), David Mark, has said that now is the turn of the core northern part of Nigeria to support his presidential aspiration, citing his support for them over the years. 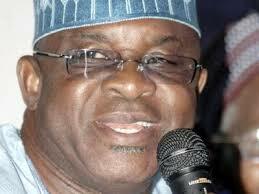 Mr. Mark said he would only be president of Nigeria if he receives wide spread national support for his aspiration. He spoke Tuesday in Lokoja, Kogi State capital while on a campaign visit to solicit votes of the state delegates to the presidential primaries in October. “I think the core North should support us because we also have supported the core North. It is a give and take thing and we are talking about Nigeria. “We are not talking about a section of this country. If I don’t have a national support, to be honest with you, I would not want to be a president of this country. “I want to be president of a united and indivisible country called Nigeria. Call it core north, core south or core whatever, wherever they are, let them support me because we too have supported them”. He promised to focus on the economy, assuring that he would turn it around within two years if elected president of Nigeria in the 2019. According to Mr. Mark, “a lot of research had been done on the economy and if given the chance, he would bring them to bear and turn around things’’. “I will do so many things differently. When we put our processes in, the woman who is selling groundnuts by the roadside will feel the impact. “It is not by mere statistics or indices that we churn out. We want the ordinary people in the streets to feel the impact of the economy on their lives. “We have young men and women who are neck dip into research and understand the economy of this country,” he said. On consensus candidate, the former senate president said that would be left for the aspirants and the party to decide.